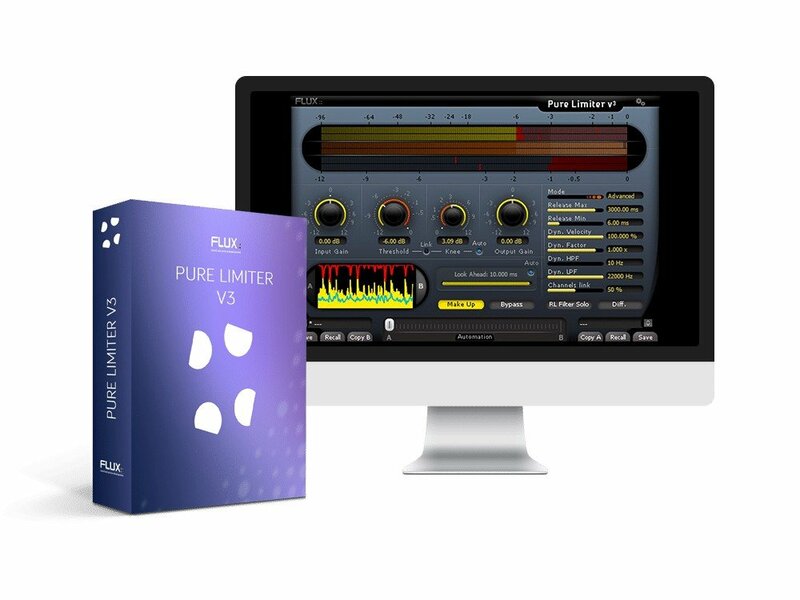 Pure Limiter makes transparent limiting easy. A dramatic increase of the average audio level can now be accomplished without damaging the perceived audio quality. The exquisite Flux:: technology assures that there are no artefacts on the processed sounds. Unless you use it as a special effect, Pure Limiter v3 should always be set in the very last stage of your audio processing chain. As always with Flux:: plug-ins there is no compromise between simplicity of use and the exhaustiveness of accessible parameters. Any of the automatic modes allows for quick operation, though of course a fully manual mode as well an advanced mode are also there to offer you total control of the processing. Pure Limiter V3 supports sample rates up to 384 KHz and provides processing in up to 8 channels for surround/multichannel work.